We're pleased to announce one of the winners for the 2015 Banff Mountain Book and Film Festival is Alpinist contributor Ed Douglas. 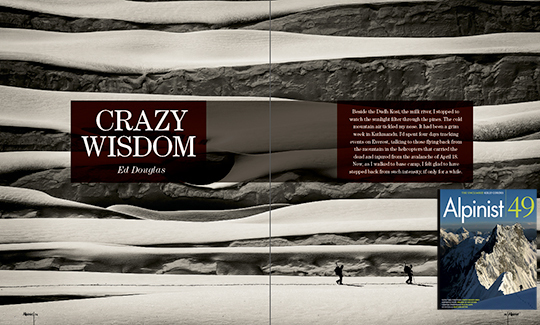 Douglas's "Crazy Wisdom" from Issue 49—Spring 2015 won best Mountaineering Article. 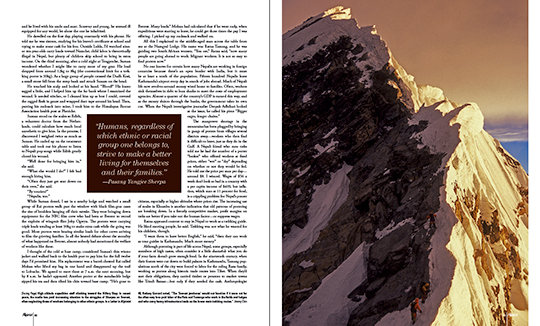 A timely and deeply thoughtful reflection on the Himalaya as a cultural crossroads where the "old myths" of romantic and exotic thinking continue to play their part, while local working people struggle to navigate "the ongoing corruption, poor regulation and complex realities" of the trekking and tourism industries, which make it possible for visitors to experience the power of this place. Beside the Dudh Kosi, the milk river, I stopped to watch the sunlight filter through the pines. The cold mountain air tickled my nose. It had been a grim week in Kathmandu. I'd spent four days tracking events on Everest, talking to those flying back from the mountain in the helicopters that carried the dead and injured from the avalanche of April 18. Now, as I walked to base camp, I felt glad to have stepped back from such intensity, if only for a while. 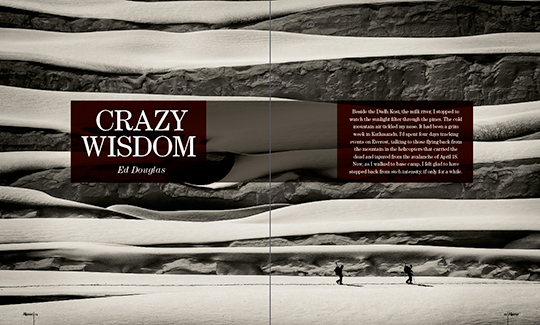 This is the 40th anniversary of the Banff Mountain Book and Film Festival. 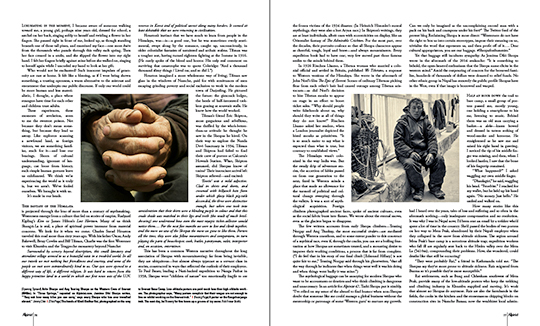 The sponsors for the Mountaineering Article category are the Canadian Mountain Studies Initiative, University of Alberta and the Alpine Club of Canada. See more here. 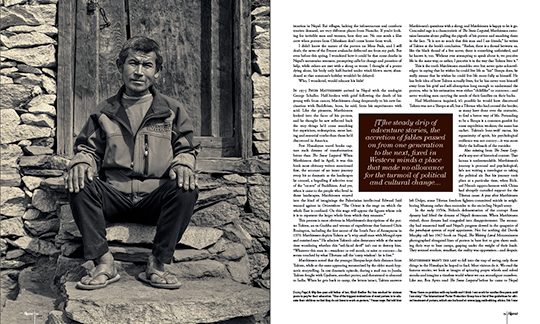 Pick up a copy of Alpinist 49 here. Read more in our NewsWire from September 29.